Today, President Xi and the other six members of the new Politburo Standing Committee (PBSC) strode out into the Great Hall of the People to meet the press, ending months of speculation about the composition of China’s executive leadership team for the next five years. The unveiling of the country’s supreme governing council occurred after the new Central Committee gathered for its first plenary session to elect and endorse the top leaders responsible for delivering on the Party’s tasks and priorities outlined in the political report delivered by Xi on the opening day of the 19th Party Congress. The committee was elected behind closed doors by the Central Committee, including the members of the 25-member Politburo and its Standing Committee, the Central Military Commission, and the Central Committee for Discipline Inspection. Wang Yang, 62, one of the four vice premiers in the State Council, is expected to become chairman of the Chinese People’s Political Consultative Conference, a top advisory body. Wang Huning, 62, the top Party theorist and director of the Central Policy Research Office, will be in charge of ideology, propaganda and Party organization. Zhao Leji, 60, is the new head of the Party’s anti-corruption commission, replacing former anti-graft tsar Wang Qishan who stepped down yesterday. Many are speculating that the Central Commission for Discipline Inspection (CCDI) has gained even greater powers at the 19th Party Congress. Han Zheng, 63, the renowned Shanghai Party chief, will become the executive vice premier. Younger generation misses out: The younger generation of potential future leaders, such as Hu Chunhua and Chen Min’er, are notably absent from this new line-up – as such, there is no clear designated successor for Xi. This appears to break with the tradition of ensuring younger leaders are elected to the PBSC in the Chinese president’s second term. 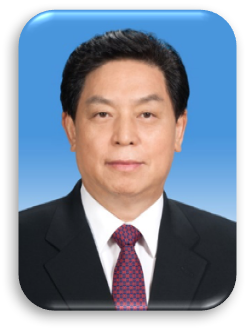 Profile: Prior to his promotion, Hebei-native Li Zhanshu worked as the Director of the Party Central Committee’s General Office, where he was responsible for coordinating administrative matters for the Party’s senior leadership. He is widely viewed as Xi’s right-hand man in charge of the president’s affairs, effectively serving as his de facto chief-of-staff while also providing counsel on a host of policy-related issues, including on the economy and diplomatic affairs. Li first met the future president when the two were serving as Party chiefs in two nearby counties in Hebei back in the early 1980s. Throughout his career, Li acquired broad provincial leadership experience across four provinces, including Hebei, Shaanxi, Heilongjiang, and Guizhou. On the PBSC, Li’s extensive experience in intra-Party coordination and knowledge of the Party-state apparatus’ inner workings, together with his wide provincial-level networks built up earlier in his career, will both be important assets to Xi. 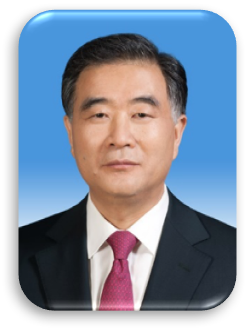 Profile: Under the Xi administration, Wang Yang served as a member of the Politburo and one of the four vice premiers in the State Council, where his portfolio included overseeing trade, financial and economic policies, and bilateral talks with the United States. Throughout his career, the affable politician has built up wide governance experience across the municipal, provincial, and national levels of government and is widely considered to be a populist and reformist-inclined leader. Coming from modest family background, Wang was born in Anhui, one of China’s poorest provinces. He spent nearly two decades working his way up the Party hierarchy in Anhui and later served as Vice Minister of the National Development and Reform Commission (NDRC) and Deputy Secretary General of the State Council in the central bureaucracy. 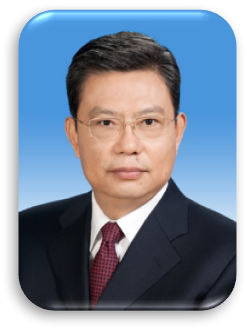 In 2005, Wang was appointed as the Party Secretary of Chongqing and led the southwest megalopolis until 2007. He received high marks for the success of his poverty alleviation efforts as well as Chongqing’s surging economic development under his watch. While serving the Party Secretary of Guangdong from 2007 to 2012, Wang was known for his call to “Empty the cage and let the right birds in,” his economic prescription for pushing the southern province to shift away from highly polluting low-end industries and transform into a global base for high-end manufacturing and services. He was an advocate for greater free-market reforms in Guangdong, and the province’s economy doubled during his tenure. Wang also appeared to be a proponent for greater openness and transparency, allowing Guangzhou to publish its budget for the first time. In addition, his “Happy Guangdong” model of development signaled his dedication to improving Chinese citizens’ overall well-being. On the PBSC, Wang can be expected to continue to push for greater economic reforms and champion more socially inclusive policies. Furthermore, his extensive experience managing Sino-U.S. relations could play an important role in helping to maintain stable relations between the world’s two largest economies. Profile: Prior to his new appointment, Shanghai-native Wang Huning was the Director of the Central Policy Research Office, the Party’s top research body, where he served Xi in the capacity of a national policy adviser and leading speech writer. The eminent academic-turned-veteran-politician holds the rare distinction of having worked consecutively under three separate Chinese administrations – Jiang Zemin, Hu Jintao, and now Xi Jinping – as a top adviser and strategist. As one of the foremost theorists in the Central Policy Research Office for nearly two decades, he has been a leading architect of the Party’s official political ideologies since the late 1990s. It is believed that he was one of the principal drafters of Jiang’s “Three Represents” and Hu’s “Scientific Theory of Development” and led on the development of the “Chinese Dream” under the Xi administration. Wang stands out not only for having enjoyed the special favor of three presidents but also for having spent the first part of his career as a scholar before transitioning into politics. On the PBSC, Wang’s key areas of focus could include bolstering the rule of law and continuing to push the Xi administration’s governance overhaul towards a stronger centralized authority. 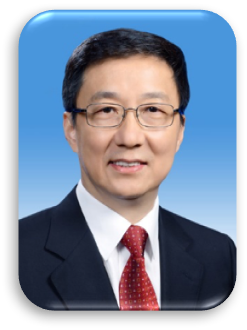 Profile: In 2012, Qinghai-native Zhao Leji became a member of the Politburo and the head of the Party’s Organization Department, where he oversaw the appointments of several thousand senior positions across the Party, government, military, SOEs, and other institutions. Prior to rising up into the central administration, Zhao spent more than three decades working his way up the political ladder in the remote northwest in Qinghai. He later served as the Party Secretary of Shaanxi from 2007 to 2012. Zhao is viewed as one of Xi’s close associates and an integral part of the president’s inner circle after having spent the past half-decade supervising all top personnel appointments. 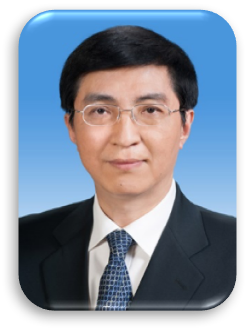 Profile: Shanghai-native Han Zheng served as the city’s top leader and a concurrent member of the Politburo since 2012. He stands out within the uppermost echelons of China’s national leadership for having spent the entirety of his career within a single city – Shanghai. Throughout more than a decade and a half spent leading the country’s foremost economic dynamo, Han established a strong track record as a tried-and-tested political administrator who oversaw Shanghai’s ongoing transformation into a global financial hub as well as the early stages of its emergence as a high-tech center for innovation. Under his stewardship, Shanghai led the way in recalibrating the country’s economic growth pattern towards a more sustainable model oriented around consumption and services, all while keeping its economy humming along at a respectable clip. Han’s entry onto the PBSC sends a positive signal that national economic liberalization could unfold at an accelerated pace in the coming years. And for corporates with considerable interests in Shanghai, his elevation means that China’s highest governing board now has an unabashed, lifelong champion for their city sitting at its table.